A missing Navy patrol plane with ten men aboard was being hunted yesterday by Navy and Coast Guard units in waters north of Bermuda. The plane is believed to be the one that a Liberian freighter spotted in flames on Friday night. An SOS message from the freighter - the Captain Lyras - at 8:51 P.M. Friday reported "a plane overhead in flames" at a point about 400 miles east southeast of New York. The New York Times intercepted another message from the freighter at 9:15 o'clock reporting that an explosion had been heard and felt strongly aboard the vessel. Still another message from the freighter reported the sighting about four miles away of what appeared to be a life raft with a light on it. The freighter's report added, however, that the raft had become obscured by rain, heavy seas and darkness. According to the Navy, weather conditions at the time of the SOS were scattered clouds at 1,500 feet, showers with good visibility and moderate seas. The joint sea-air search was being coordinated yesterday by the Navy's Eastern Sear Frontier command here. The Commandant, Vice Admiral Frederick W. McMahon, was quoted as declaring the Navy plane "may or may not" be the sighted craft. Other Naval authorities in Norfolk, Va., and Bermuda, home base of the plane, apparently were presuming it was. There have been no other reports of a missing civilian or military aircraft. The missing plane is a Martin "Marlin" P5M, a twin-engined flying boat that was reportedly carrying seven enlisted men and three officers. The Navy here said the craft radioed its last position report at 8:30 P.M. Friday when "roughly" in the area of the freighter's report. The United States Naval Station in Bermuda, where the plane is assigned to Navy Squadron 49, reported the craft's last position report as 350 miles north of Bermuda. An Associated Press report said the plane had left Bermuda on a patrol flight with enough fuel to keep it aloft until 6:30 A.M. yesterday. 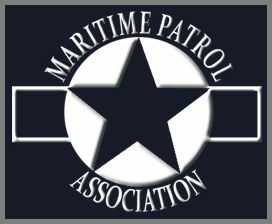 The search was begun Friday night by three Coast Guard aircraft and a cutter, the Chincoteague, which was about 180 miles from the Captain Lyras at the time of the freighter's SOS. Also joining the search were two Navy destroyers and six Navy planes. 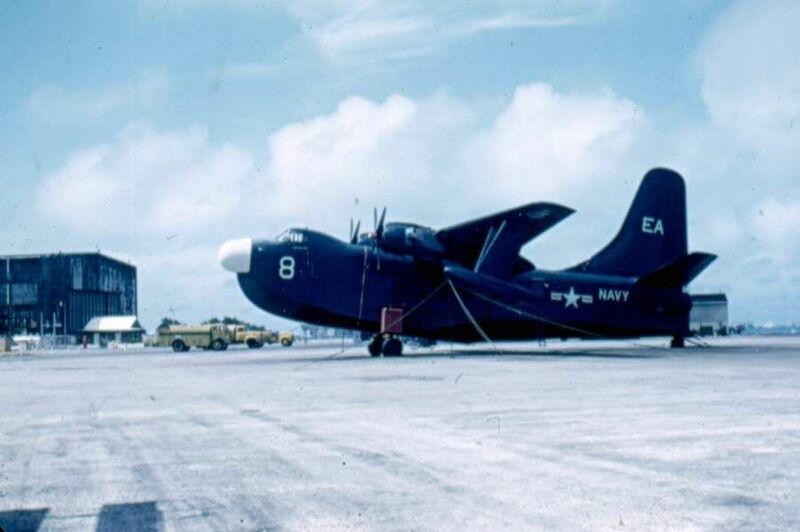 These were four other P5M's stationed in Bermuda and two P2V Neptune patrol bombers from Maryland. Petty Officer 3/C Wendell Frederick Beverly, son of Francis Louis Beverly, Ballou Lane, Williamaton, Mass. Petty Officer 3/c Billy Gene Comer, son of James Vester Comer, Blossburg, Ala. Petty Officer 3/C Jesse William Grable, son of Byford Otto Grable, 1305 Dover, Centralia, Il. Petty Officer 3/C Richard Woods Montgomery, son of Thaddeus Lemart Montgomery, 118 Colwyn Lane, Cynwyd, Pa.
Lieut. (j.g.) Charles William Patterson, husband of Billie Lawson Patterson, Naval Station, Bermuda. Petty Officer 2/C Lyle Freeman Quimby, husband of Karin Mae Quimby, Beachcrest Cottage, Roral Hill Paget, Bermuda, and son of Mrs. Earl Quimby, 3036 Colfax, North Minneapolis, Minn.
Lieut (j.g.) Cyrus Eugene Reid Jr., son of Mary Marshall Reid, Edgewater Drive, Dallas 5, Tex. Airman Bobbie Lee Sanders, son of Mary Frye, 312 West 9th Street, Houston, Tex. Comdr. John Milton Sweeney, husband of Mary Mathewson Sweeney, Mimosa Cottage, Warwick, Bermuda.